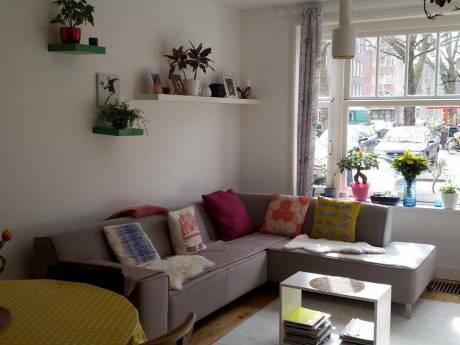 This is an appartment on the first floor in the old west part of amsterdam,located in a cute shoppingstreet full of bars and restaurant.Opposite there is a comedy cafe end a night shop and many other lively places. The famous vondelpark is 250 meters at the and of the street.The main entertainment area is 1 tramstop away. There is a canal crossing the street and there awaits a little canalboat your use. 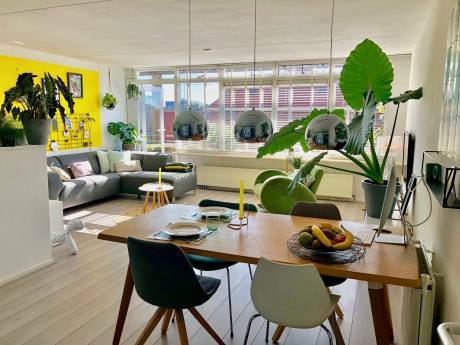 For those of you who want to experience authentic amsterdam this is an excellent place;bedroom with doors to the balcony,spacious shower,seperate toilet,,bright livingroom with beautiful view.